That suggests it’s far from the end of the story for this very big, very remote, and very poorly studied part of the world. New datasets expected to come online from satellite missions like GRACE-Follow On, which uses gravity data to track Antarctica’s weight loss, and ICESat-2, which measures the height of icy surfaces, should help researchers refine the picture even further. 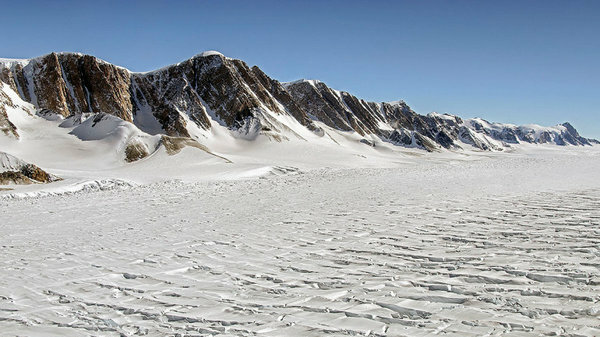 But this isn’t the first time a study has punched a hole in East Antarctica’s icy fortitude. A study published last summer found that two critical East Antarctic outlet glaciers, Totten and Moscow University #glacier, are shedding some 18 billion tons of ice a year. More recently, NASA researchers estimated that four #glaciers west of Totten have lost nine feet of surface height since 2008. One thing’s for certain: If East Antarctica is losing weight, and if that trend accelerates, the future of Earth’s coastlines could start to look a lot dimmer.